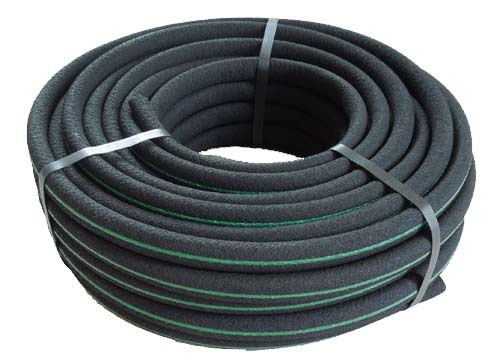 Soaker Hose: "Green Stripe" 500' x .820 (5/8" ID) soaker hose offers the perfect delivery of water to plants. We have 3 total rolls, as of this writing 4/1/19. These 43 rolls have gotten wet while still in the box, in turn the cardboard being wet, messed up the appearance of these 3 rolls. "Green Stripe" 500' x .820 Bulk Soaker Hose offers the perfect delivery of water to plants. Made from recycled materials, 70% from recycled rubber and 30% recycled polyethylene products that are re-pelletized for use in the process.